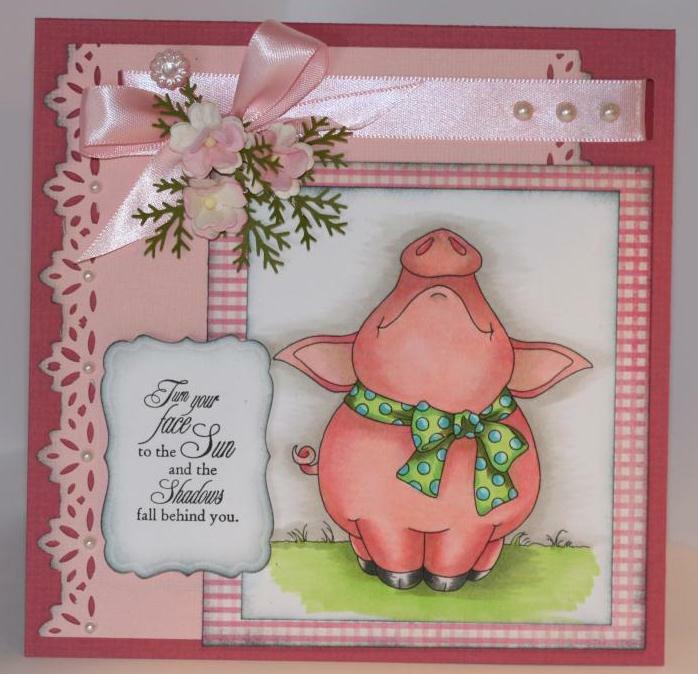 That is the name of this adorable digi from Whimsy Stamps from designer Crissy Armstrong. I am actually not sure if I smell spring here in Alberta after the storm on the weekend, we got a terrible amount of snow again. I sure am hoping that spring will finally arrive sooner than later. I have actually been in a pink mood I guess my last couple cards have been pink. Great color though. That is the theme on the Whimsy Challenge blog right now. 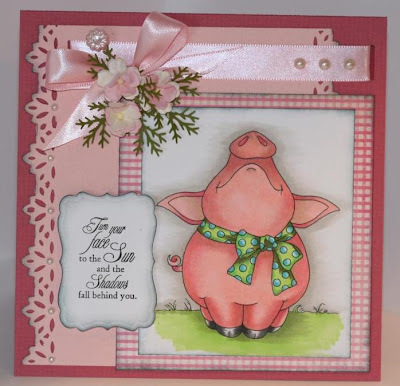 So if you have created a card or project with pink then you should definitely add it to the challenge blog ( click here to jump to the Whimsy challenge blog). For a chance to win some really terrific digital images. This is my inspiration card for this week. The top part of my card. supplies: copic markers, Bazzill cardstock, MME patterned paper, Flourish sentiment, Labels seventeen spellbinder, Maya Road stick pin, Zva pearls, distress ink. That is super cute friend...like him! Nice coloring too....of course...wahoo! !